Orion Silverstar 191: What Are Demons? I realize that this subject that I write about here is a very touchy subject and has a lot of differing opinions between people. Anyway, this is my own opinion on this subject going by ancient research and my own experiences, you may not agree with my opinion but that`s alright as we all have a mind of our own. Firstly lets look at the word "Demon" itself, this is the way it is written in most writings on Demonology and mainly Christian Demonology. If we go back in time we will find the word "Daemon" which gives the word a different meaning altogether. It was due to the coming of the Christian movement that the word Daemon was changed to the word Demon. So there for you could say that the word Demon is a corruption of the word Daemon and not really a word at all. If we go back in time further we will find that the word Daemon comes from the word Daeva/Deva which is a supernatural Divine, Heavenly being which is male and the female version of this is Devi, another word is Demigod which means the same thing. So now you could say that the word Daemon refers to a Divine spiritual being of the heavenly realms, in other words, a Holy Angel. So by now knowing this knowledge, by corrupting the word Daemon to "Demon" and relating it to something sinister or negative is in fact a mockery of a Holy Divine being. Before you read more into this, let me say that yes, there is negative Entities out there. If I was to say that there was not, well then I would be misleading you all. Someone may say to me "Well over time words evolve and change" my answer to that is, no they don`t, they become corrupted. Here is an example, if someone told someone a story and then that person told another person the same story and so on and so on. As that story went from one person to another it slowly changes and by the time it reached the last person it would be completely different than the original story. This is the same when it come down the the word "Demon", as it is not a real word. Someone may say, well sometimes the "Demons" even call themselves Demons. In my experience on dealing with those in the worlds beyond our own, there are negative earthbound souls that like to frighten people. Also people can create thought forms that can be very powerful, and if the person in the living see`s the word Demon to mean a dark negative Entity, they may create a thought form of a negative energy. Not only this but negative Entities opposed to the Holy Divine beings may use the word Demon to describe themselves as a mockery to the real meaning or as part of their deception. When it comes to deceiving spirits or Entities, I would not believe anything they say. If they say they are a relative, I would not believe it, if they say they are a Daemon, I would not believe it. Most humans think that when a clearly negative Entity says that they are a Daemon, that are are talking about Demon when really their are talking about Daemon as a mockery to a Holy Divine spiritual being. Now let me talk about something else in relation to this subject. A while back in time when the early Christian movement was making ground across the world through force. A lot of people had little choice but to convert and turn from their Gods/Goddess or be tortured or die. One of the things that the early Christian Church Fathers did was turn a lot of the ancient Gods/Goddess`s into their "Demons" and even some into Holy Angels. 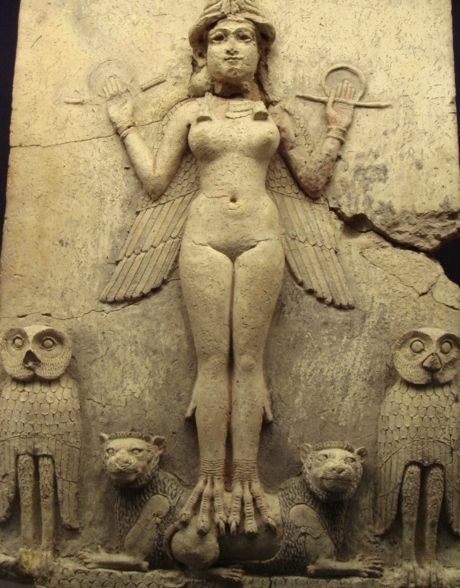 One example would be the Babylonian Goddess Ishtar who was also the Goddess Astarte and Canaanite Goddess Ashtoreth, who later became the Demon Astaroth in The Lesser Key Of Solomon Grimoire. There are many more examples than just this which calls into question the authenticity of Demonology in general. I often frown when I hear someone say that they have got a degree or certificate in Demonology or that they are a Demonologist as I believe a lot of what they have been tort is misinformation, especially if it`s Christian Demonology. If you take a look at or do some studies of ancient Grimoires, you will find a very heavy Christian influence, like for example The Lesser Key Of Solomon. 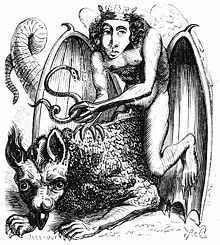 The Lesser Key Of Solomon Grimoire is filled with descriptions of spiritual beings that are called Demons, including the one I mentioned above Astaroth. 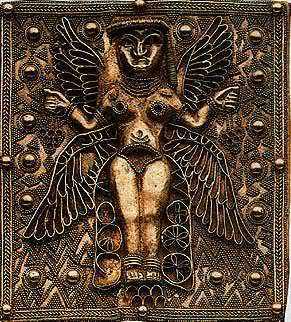 They are believed to be the Djinn that King Solomon called forth to help build his temple and then trapped them in a brass container. This is where the story of Aladdin`s lamb and the Genie in a bottle came from. Another thing I would have to call into question is, at times the Lesser Key Of Solomon is called "The Book Of Evil Spirits". If you have read my last blog before this one, I talk about the difference between, Spirits, Entities and Ghosts, and yes I realize that people use them interchangeably. If you have not read that blog of mine please do thanks, it will explain a lot of things and hope sort out the confusion a bit. Anyway, back to The Lesser Key Of Solomon, a spirit is not an Entity and what is in the Lesser Key Of Solomon are without a doubt Entities or you could be right in saying ancient Gods. An evil spirit would be a bad, mean, angry, troubled, tormented, nasty earthbound soul and I have had to deal with a lot of them in the astral realm. These spirits can even attach themselves onto people and drain all of the victims energies right out of them. They can bring on bad luck for the host and disease and sickness, not just for the victim/host, but also for members of their family and even friends. The word Genius also comes from this, today when we think of someone that is a genius, we think it means that the person is very smart. However, the real meaning behind the word genius means that if someone was possessed or under the influence of a Djinn which gave them great knowledge, they where said to be a genius. Another thing you will find if you do decide to do a deep study of The Lesser Key Of Solomon, is that these beings they call "Demons" have both positive and negative abilities depending on the motivation of the person calling them forth. This does not sound to me like the normal behavior of Demons in the Christian sense of the word. 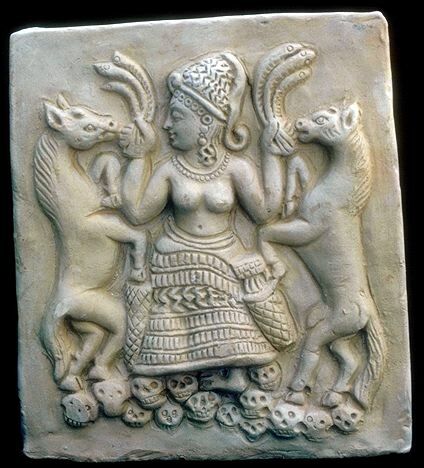 So therefore it could be said that these beings are to serve humans and that they are nether good or bad, just like they are nether male or female, it all really depends on the motives of the summoner. In other words, the responsibility is solely on the summoner and the consequences there of and not on the spiritual being called forth. This is just one ancient Grimiore I have used as an example out of many. So hopefully through what I have written here you now can see that negative Entities and Positive Entities are not as black and white as one might think. Also that what maybe labeled as negative on the surface, after a deeper study it may show something different. Remember that there is no such thing as black or white Magick, just Magick and the will and intention of the person practicing it. The whole reason why someone may say that they are a white magi or a white witch is due to the fact that the name witch or magi in itself has received negative criticism from misinformed, unenlightened people. Hollywood movies and also dogmatic religions that are dead set on trying to paint a dark picture on ancient traditions and Magick practices. Thanks for taking the time to read this article of mine, if you found it interesting it would be great to see your comments below or if you have a questions in relation to this article please by all means let me know thanks ~ (C) Orion Silverstar 2016. Hi Mandi, thank you for taking the time to read this article and for your comment. I`m glad that you found it interesting, I am always studying and researching as I never stop learning and growing in knowledge. Maybe your own research could shed some light on a few things for me? Have you had the chance to read any of my other blogs? You may find them helpful or supportive to your own spiritual journey as well? Have a great week, blessings ~ Orion. Interesting article. I agree that everything in time seems to get distorted and changed by the elite. The Soul, The Spirit......The True Self.